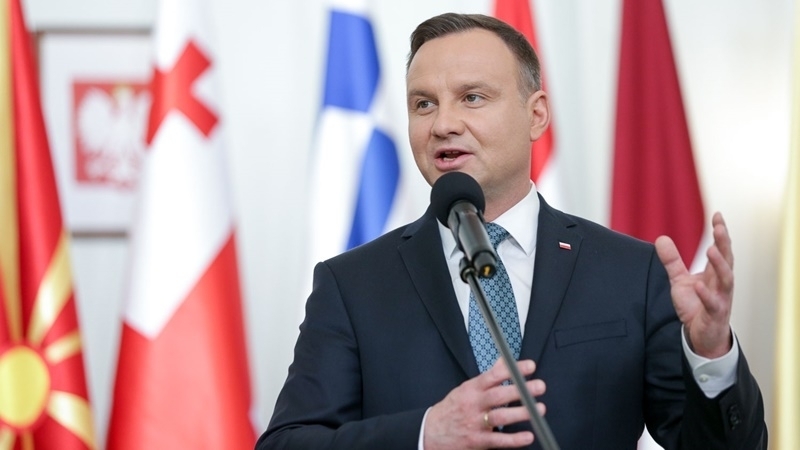 Polish President Andrzej Duda said that sanctions should lead to Russia’s withdrawal from the occupied Luhansk and Donetsk, and also put an end to the occupation of the Crimea. The Polish President made a relevant statement in Helsinki during a joint press conference with President of Finnland Sauli Niinistö. "We want the end of topical armed conflicts, and we also seek to prevent those conflicts that may arise in the future. In this context, a consistent policy of sanctions against Russia is of great importance. The policy of sanctions should lead to Russia’s complete withdrawal from the conflict in Luhansk and Donetsk, which it provoked. Moscow must also abandon the occupation of Crimea and the pursuing imperial policy," Duda said. He stressed that NATO's response to Russia's aggressive policy is expanded Alliance's presence on the eastern flank. Earlier, Ukraine and Poland signed a bilateral agreement between the ministries of education on the linguistic article of the Ukrainian law "On Education".